When we select walking routes to include in our guides we like them to possess certain ingredients. Ingredients which we want from a walk, the sort of things which elevate them to be more than just a nice walk with lovely views. One of these ingredients is, whenever it’s possible, somewhere amiable nearby to enjoy a post-walk beer. All our walking routes include suggestions of places we like to metaphorically kick off the boots when the walking is done. Here are six of our favourites picked from areas across the island. In some places there’s a richness of quaint little bars; in others the choice is more limited. 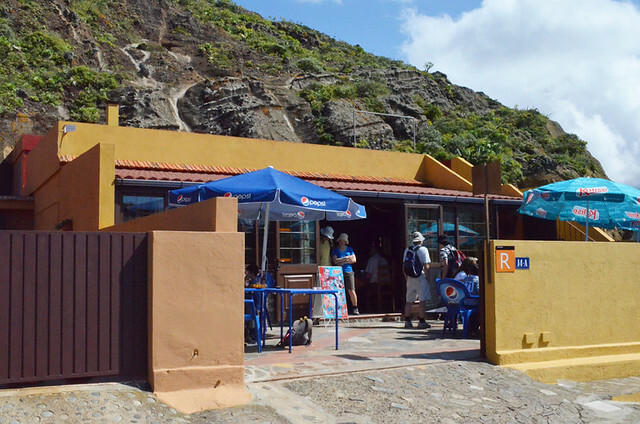 In truth I could have filled a post with good little watering holes in Anaga. Even writing this I changed which one I was going to include three times. In the end I’ve opted for La Cueva in Chinamada because it’s unusual and fits its location perfectly as part of it is inside a cave. The downside is, unless your path terminates in Chinamada, it might not actually be the end. 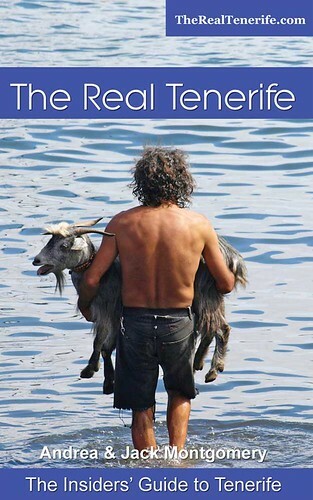 This hasn’t proved to be a problem with those friends we taken on one of our favourite walking routes on Tenerife. You can get an odd mix of clientele at La Cueva. Northern European hikers sit in the sunny terrace whilst Santa Cruceros, some dressed as though they could be going clubbing, head for the shade inside. 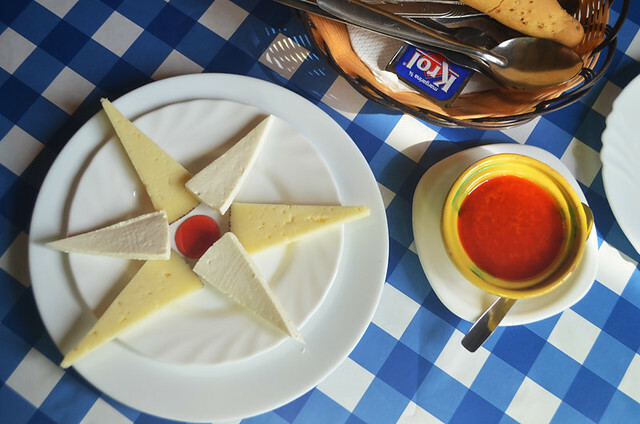 La Cueva is also good for trying hearty, traditional country dishes. Escaldón is a uniquely Canarian dish and a speciality of La Cueva. 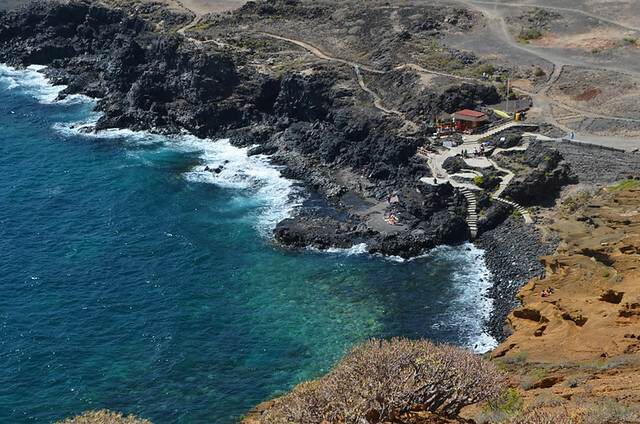 The number of visitors to Tenerife who’ve tried it are members of a relatively small club. With fewer Canarios and more tourists than northern parts, there isn’t the same choice of quaint and quirky Canarian bars to be found in the south of the island. Even so, there are still plenty. One which charmed us was Tasca Taguara between Ifonche and La Escalona. As we sipped a couple of Doradas on its vine-covered terrace the owner presented us with a pair of scissors and told us to snip off some grapes to take away. It was just a lovely, chilled out little place to relax after a couple of walks in the southern hills. Taguara also serves traditional Canarian food. 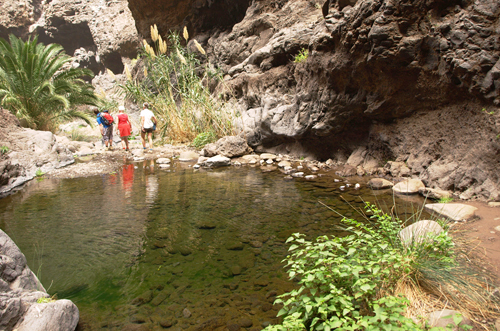 You’re going to pay over the odds for post-walk refreshments in Teide National Park, but it’s worth it thanks to the extra special surroundings. The bars beside the Parador and at the cable car boast the best views but can be ridiculously busy. The El Portillo bar/restaurant is still a bit more expensive than equivalent places outside of the park but being on the northern fringes, and therefore not so close to the main excursionist hot spots, it has a less frantic and more local vibe (the road to La Laguna and Santa Cruz being directly opposite). 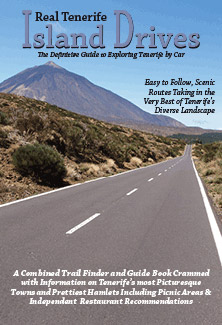 It’s also close to the end point for a number of routes on that side of Teide National Park. The west is another area where I hummed and hawed about which bar to include. 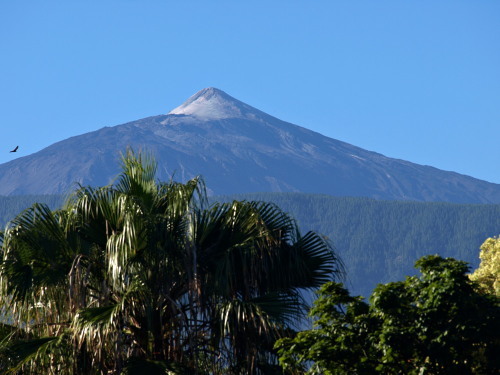 In the end I’ve opted for the Kiosco el Parque in Santiago del Teide because we love to stop there whether after a walk or if just passing through. 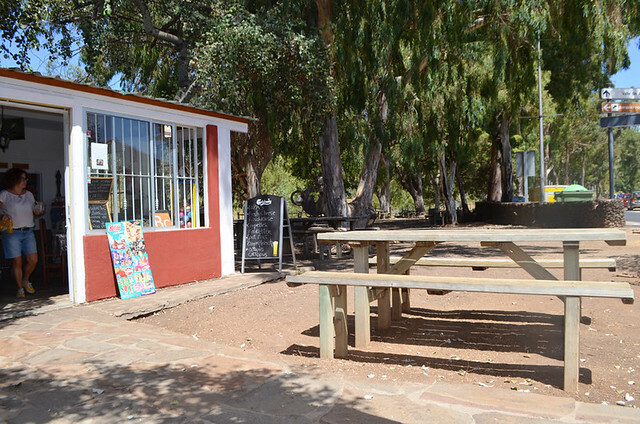 Located beside a zona recreativa beneath eucalyptus trees, it’s a no frills rural bar on the edge of town which seems to be bypassed by many visitors. Apart from being in a great little spot, the Kiosco serves as good arepas as we’ve eaten anywhere on Tenerife. 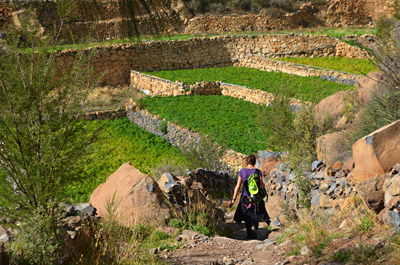 There are trails galore through the pine forest of the upper Orotava Valley, and also bar/restaurants to match. 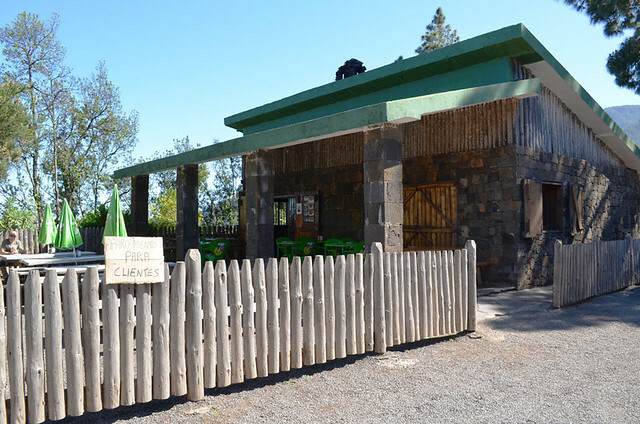 A classic which has been a favourite watering hole of ours ever since our first foray into this beautiful part of Tenerife is the La Caldera Bar, with its log cabin good looks, located next to the recreation zone with the same name. On sunny days its terrace is perfect for toasting the end of a special walk in the valley. When bruma rolls in there’s usually a welcoming and warming fire inside. Service can be slow, but it doesn’t matter. This is a place to linger. 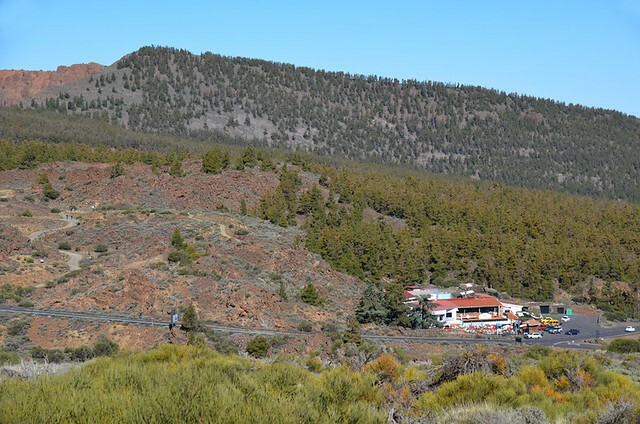 Even in the midst of purpose-built resorts you can find the odd surprise on Tenerife, which is why I’m including a bar in Costa del Silencio in which to enjoy a post coastal walk beer. Mana Niu Chiringuito is no typical Silencio bar. And its location, at the foot of Montaña Amarilla, is a complete contrast to the urban jungle which keeps it hidden away – parts of which wouldn’t have looked out of place in a deprived inner city area of the UK in the 80s. If anything, that’s partly what makes it such a jaw-dropper of a setting. A wonderfully quirky bar from which to enjoy sea views beside the Yellow Mountain. 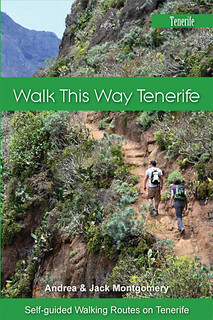 Although we connect these Tenerife bar/restaurants with walking routes, you don’t have to be a hiker to enjoy them. Which is why in places like La Cueva you might find yourself sitting next to someone wearing a minuscule black number and tottering precariously on vertigo-inducing stilettos, as we did on one visit.